This one is funny. I was at a basketball court or something like that. I have this fast, flashing images that a young, Chinese, athletic guys (I’m not into athletic guys, though. He’s a swimmer) was like... into me. And then at the basketball court, I was sitting next to an old, Chinese guy. I think he's the father of that young Chinese guy who was into me. I think the son was Ah Seng and the father was Ah Keng or something. Hahaha But I can tell he’s a rich guy. He said he likes me. I was surprised and kinda felt irritated. I asked him ‘Why ME??’. Then he replied, ‘Because the way you sit.. it’s all graceful. It’s like... comel molek’. I was like.... WTH???!!! You gotta be kidding me! haha Though he kinda reminds me of Jimmy Choo.. hmm. Maybe I don't mind marrying him after all IF he really was Jimmy Choo. Hahaha Oh Nina! Get back to reality! Then at another place: staircase. I was with another guy, I think he’s younger than the old guy. We were going downstairs then suddenly there’s a cobra in front of us. The head was of triangle shape. =.= Scary, but not so scary since I’ve dreamed about snakes most of the time. 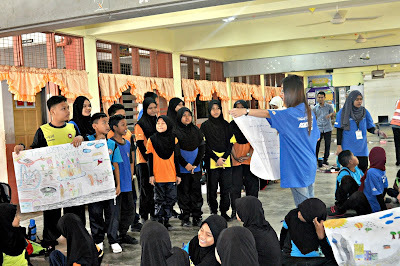 =.=’ A friend of mine from CBN was there, Najwa with her friends. This one, I was at a camp or something. There were people wearing red shirts and I was wearing blue shirts. Then suddenly there’s this one woman telling those who were wearing the blue shirt must change it to red shirt. I saw a few friends. I saw Faiz, too. He was talking to a girl. He looks so excited though. So yeah. Haha Then tiba-tiba I went outside of the place to see a woman selling yong tau fu (damn... rindu nak makan yong tau fu kat pasar malam intec) and I went to the stall to buy it. It was nice. I found out that I didn’t have enough money. Then Nadia Zulkifli, another CBN friend, she wanted to go inside to take her money. Knowing that I didn't have enough money, I said I wanted to follow her since she's going to take some money from her bag. Then I saw my handbag outside, I was like *gasping* Why is my handbag outside?? Why did I forget to put it in the room!! Then suddenly Faiz (again) went to buy the yong tau fu. Funny we didn’t talk. Or maybe he didn’t realize me there. Hmm. Never mind. Then this is the best part! Hahahaha It happened at another place. First I was in a somekind of lab with Mark Harmon a.k.a. Agent Gibbs in NCIS. 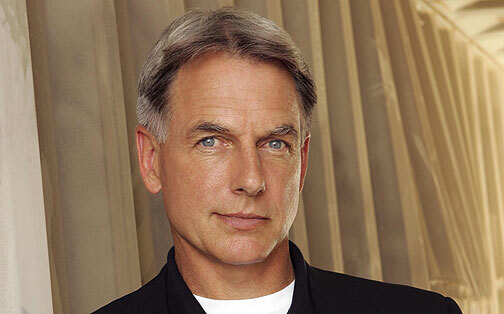 Mark Harmon a.k.a. Agent Gibbs. Jap, nak letak more pics. I think he was wearing a glove that contain magnesium that, if exposed into air could cause explosion. I know. I know. This is A DREAM, for crying out loud! And I dreamt that Ziva was there!! The Ziva that Tony actually likes, I think. I think I saw Tony was behind there somewhere and McGee was behind him. But the attention wasn’t much on them though. Speaking of dreams... I don't know why but I have this IMAGINATION of a guy who just came back from work, says my name (which I can just imagine him calling my name cuz it's always like the way he calls my name), hugs me from behind and give me a kiss on the cheek while I was cooking dinner. Problem is, out.of all.people, WHY HIM??? OH DEAR GOD, WHY HIM??? P.s. : Sometimes I feel like he doesn't even remember me. Maybe it's true he doesn't.. hmm. But why oh why do I have to puke in your dream? not a messed-up-without-tudung one. HAHA. The weird thing is, I still have the sense to play with my BB? Seriously Nyna, you should become a novelist. buying yong tau fu..haha..aku ni mcm extra je dlm production mimpi tu~..HAHAHA XD..